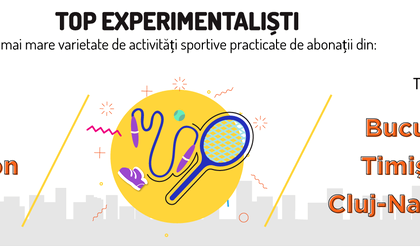 At the beginning of the year 2018, 7card, the leading subscription to the Romanian`s largest sport & leisure network, also known as Romania’s largest playground community, decided to sort through its subscribers’ data from 2017 and launch the first study related to the biggest leisure & sport activities of the year, which includes some interesting key insights about consumer behavior, statistics about the companies with the most subscribers in Romania, and also data about training frequency. What better way to spend a Tuesday evening after work than going to a climbing gym? Or you may enjoy taking a swim in the pool. Considering the relevant data on what activities people are signing for and most important when, we see that Tuesday is the most preferred day of the week for doing sport related activities. People nowadays have the opportunity to try something new everyday, getting out there, discovering, exploring and even sweating a little bit when trying new sport activities. So, why not starting exercising today? In 2017, the focus was on experiments, or better yet, a year of “experimentalists” – those people who constantly enjoy trying new sports & leisure activities. More and more persons realize that it is incredibly rewarding to experiment all kinds of activities and reach for inward reflections on the best version of ourselves. The study shows that the most experimentalist 7card subscribers are from companies located in Bucharest, Timisoara and Cluj – Napoca. Their most favourite activities are climbing and bouldering, cross training and swimming. „In Romania, people really care about their active lifestyles and try to experience as many soul-nurturing activities as they can. Diversity is what keeps us motivated to try those experiences we never thought we would venture into before. Being active 2 or 3 times per week help us to be more productive in our everyday life. With 7card, we want to continuously offer the best selection of sport & leisure activities. We are at a moment in time when we can state that we have vast quantities of information in order to do a quantitative research and we are gladly to share them with you through this infographic”, says Andrei Cretu, co-founder. 7card is a B2B unique sport & leisure monthly membership which offers various sport & leisure activities, with approximately 30,000 active subscribers and still growing at rapid pace. The company was founded in 2011 by 3 Romanian entrepreneurs – Andrei Cretu, Iulian Circiumaru and Catalin Ivascu, who offered Romanian people the chance to create a community of sport & leisure enthusiasts by bringing together a large network of over 500 sport & leisure centers, in 39 cities from Romania. At the end of 2017, Benefit Seven had reached a turnover of approximately EUR 5 million, and this number is still growing at rapid pace. 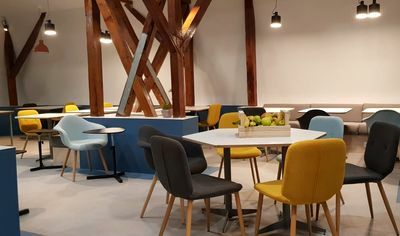 Also, last year, Sodexo – a global company which is established in Romania since 1998, offering a wide range of benefits and rewards for employees, has become a majority shareholder in 7card. If you want to find out more information regarding this study, please contact: raluca.furtuna@benefitseven.ro, 0721 922 495.